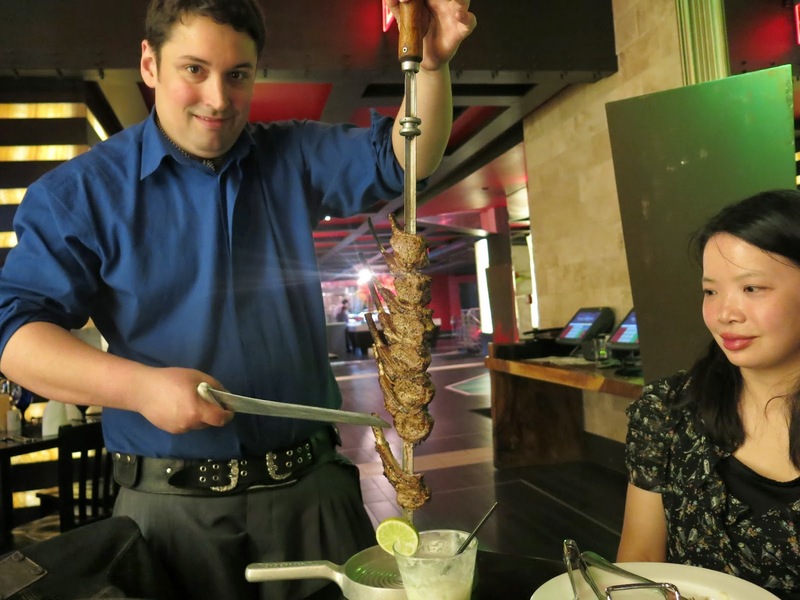 I was recently invited for a complimentary dinner with a guest at Texas de Brazil, located on 1011 3rd Avenue at 60th Street. 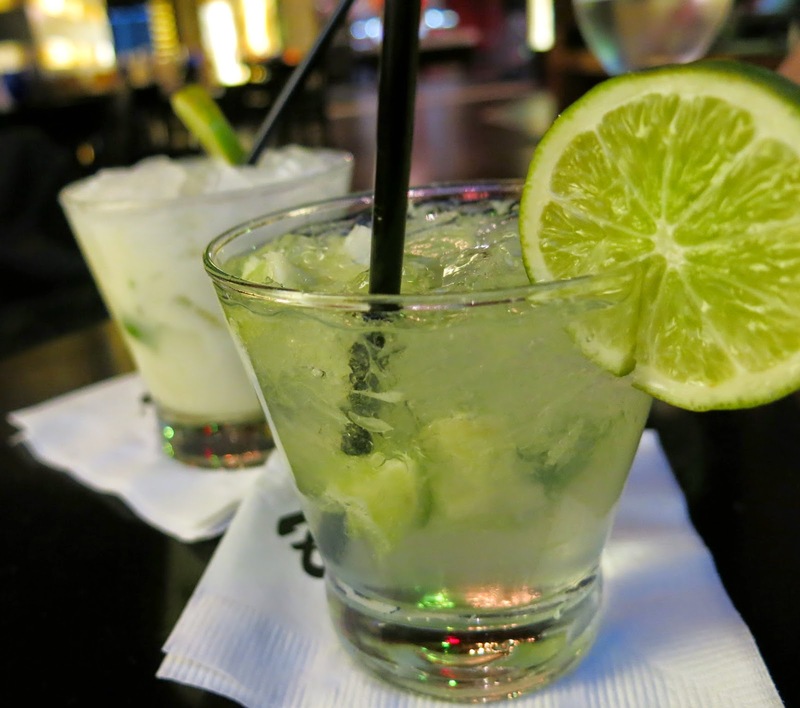 I have fond memories of visiting Rio de Janeiro and eating at a churrascaria while sipping capairinhas, so I was looking forward to the experience. The space was really large with 2 levels. We waited by the bar on the ground floor for a few minutes before being escorted to the 2nd floor where the salad bar is located. 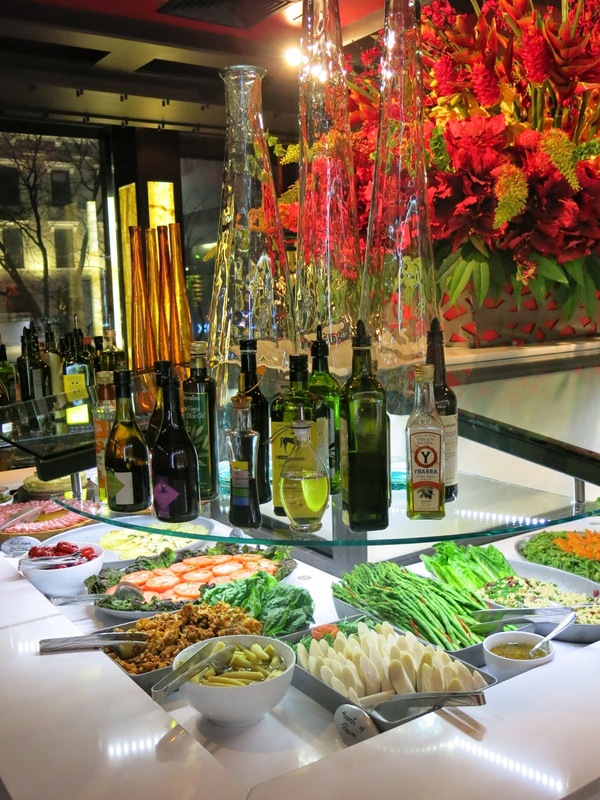 The salad bar had a solid offering of fresh salad, fruit, cold cuts, potato salad, artichoke heart, palm hearts, asparagus. There was also soup, cocktail shrimp, seared tuna, smoked salmon, and a small selection of sushi or California rolls (which I didn’t try since I was saving room for meat!). We were given the choice of either the house wine or a cocktail. Our waitress told us the most popular cocktail is the capairinha, which is Brazil’s national cocktail, made with cachaça (sugar cane hard liquor), sugar and lime. I chose the regular capairinha, while my friend chose the coconut one. Both were delicious! I was pleasantly surprised by the capairinha (I hadn’t had a good one since I visited Brazil) which was tasty and refreshing. It was just the right blend of tartness and sweetness. Appetizers of mashed potatoes and plaintains came with the meal. Both were tasty, but again I wanted to have room for the main course! On our table was a circular card that you could flip to the green side to signal the waiters to stop by your table with meat. There were different types of meat (chicken, pork, beef, lamb) and a variety of cuts cooked medium rare. Some of our favorites were boneless beef rib and top sirloin. The beef rib was super tender and juicy and lightly seasoned, so you could really taste the flavor of the meat. 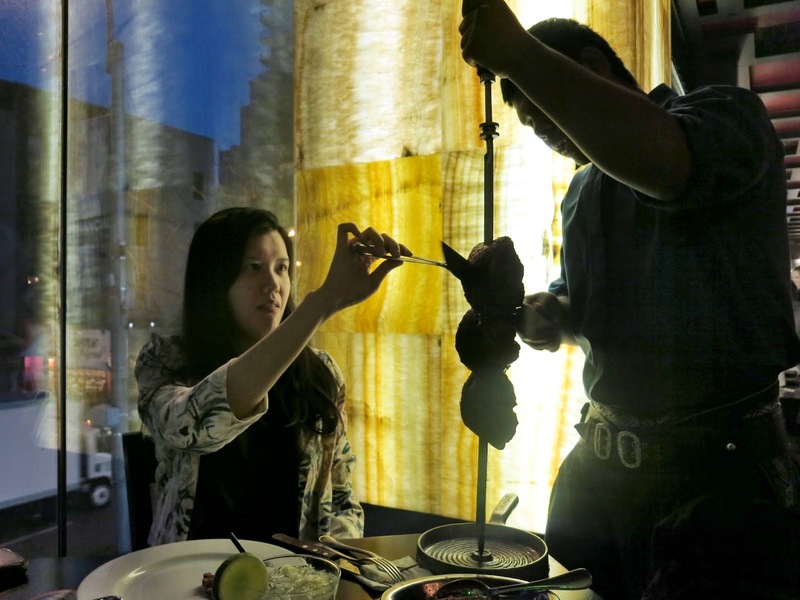 We also tried the Brazilian sausage, which was a little too salty for our taste. By the end of our meal, we were so full we had to take a breather. But when the waiter came by with lamb chops came by, we couldn’t refuse. Lamb chops are definitely another favorite! 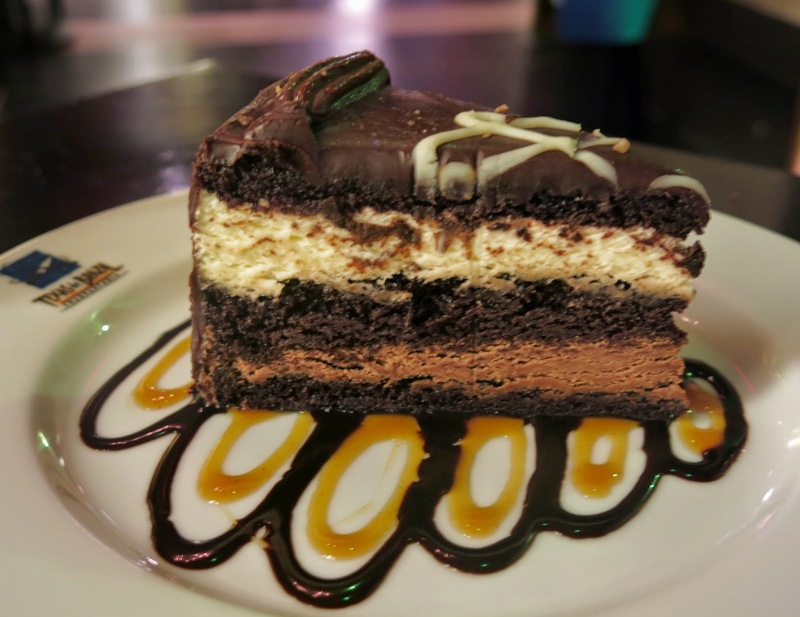 Texas de Brazil has a variety of tempting dessert choices including carrot cake, crème brûlée, cheese cake, but we chose the key lime pie and chocolate mousse cake. 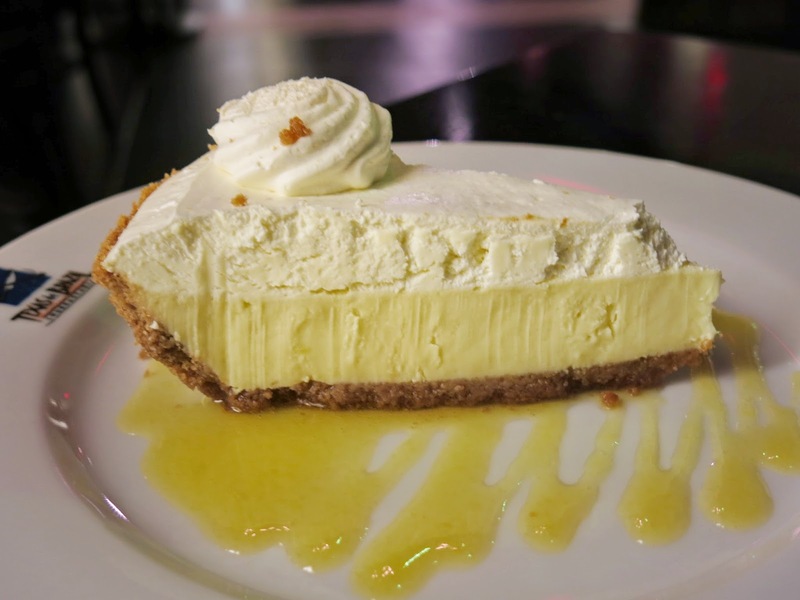 The key lime did not disappoint and was perfect after a heavy meal. The chocolate mouse was also delicious but a tad too sweet. 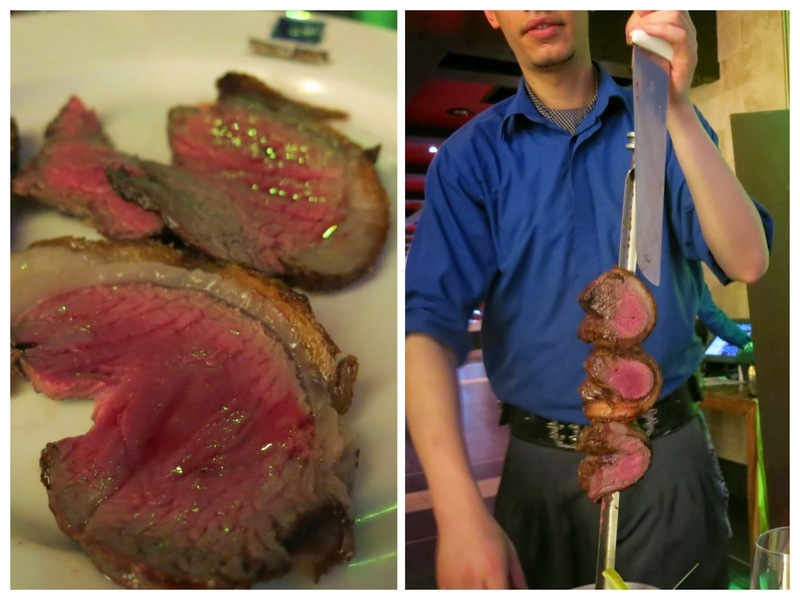 We had a blast at Texas de Brazil and really enjoyed the food and drink. The staff was very attentive and helpful. At $59.99 for unlimited Brazilian BBQ (drinks not included) with quality meat and salad bar, you can’t go wrong!